OK, just downloaded these, and a few immediate thoughts. * You need to add a clear fold line between the backs and fronts to ensure the two sides will line-up properly once folded and glued. * I still think you need to add a thicker black outline for those cutting the minis by-hand. 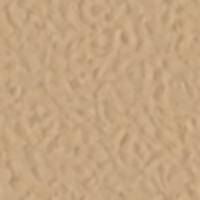 * Personally, I'd have liked a full page of your desert ground texture in the PDF as well, because that makes it easier to create bases of the sizes I'd need, or indeed for anyone else wanting to set these up as wargame units with multi-figure bases, as a diorama piece, or to allow the creation of movement trays for the individually-based minis to stand in, again when wargaming. * You might want to add a front page to the PDF - like the image used on your WV product page, as you linked-to already. * It may be worth adding some text notes in the PDF on how to make these up into minis and base them for those coming to papercrafting for the first time. Don't get me wrong; I like these minis - I just paid cash for them after all! - but with a few changes and additions, this could become an outstanding range in time (and best to get the standards right now than have to change everything later!). Perhaps something like this document to illustrate construction of your bases and miniatures. antohammer, these will be much easier to build and cut out. The page may look a bit busy but the page is not the product, the assembled figures are, and they will look great! I am looking forward to what else you do on this theme. BTW I was serious about my ink saving "discovery". You could just arrange the figures above and below each other with a one or two pixel space between the tabs and you get a fold "line" without adding anything. antohammer: Yes that mini with the black surround will be much easier to cut by hand, as cowboyleland already said. 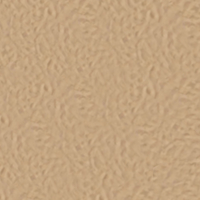 The desert sand texture looks really good too, especially the enlarged sheet. squirmydad do you like the instructions? I would suggest archers and then kopesh wielders. Historical ancient Egyptian ship figureheads beyond the kind of floral design you've shown in your concept model seem to have been uncommon, as far as the pictorial evidence suggests. Most of those there were look to have been animal heads or more abstracted/stylized designs - like their hieroglyphs, for instance. So an Anubis-head might be appropriate here, in a fantasy context and especially relating to the undead. I was thinking to draw a temple what do you think ? And maybe you have more experience than me... if I want to make print the minnia what kind of paper should i ask ? A lucid one? To locate images on their ships, boats and barges, you might have to look for 'reconstructions'. I'm a sucker for History programs, and 'replica' boats are seen in them. On Smithsonian Channel, there was an episode on the sphinx that had a reconstruction of a boat used by the workmen. An episode dealing with Cleopatra had some of her warships. Under something like Ancient Marvels, they had her super ship, computer model. i love you that s a great suggestion!!!!!! I'm not sure about the reliability of some of the ancient ship reconstructions overall, as although they can be helpful as a guide to the 3D shapes and probable construction methods (often difficult to tell from ancient artwork examples alone), sometimes the detail doesn't seem to match as well as it should. For instance, I've found reconstruction images that show ancient Egyptian ship figureheads facing outwards - like more modern figureheads usually do - whereas the ancient artwork suggests these were usually constructed facing inwards, towards the ship, instead. When printing minis, the general consensus from previous CWF discussions is it's always best to use photo-quality papers and cards, and preferably papers with a matt surface. For most minis and card models, I use a matt 210 or 220 gsm weight card, for instance, as this seems to give the best results using my home inkjet printer. You may need to experiment with different papers and weights to find the better materials for your own printer, however. It's noticeable that not all photo-quality "white" papers have the same "whitneness", and that's something which can affect the final print quality, for example. A 3D temple model would be interesting. There are some already available on the OBS sites, but there's always room for different styles and approaches. do you think s better to change and buy an inkjet? to me it looks the best set made so far !!!! The interchangeable ship's figurehead is a good idea. That way you may have only one ship design, but any number of figureheads to give variety to the fleet (and I guess different sails to match, perhaps). Choice of printer is a very personal thing, because it really depends what you need it to do and what your budget is (not just for the machine, but for the running costs of ink or toner supplies too). My inkjet is about seven years old now, so it's been quite some years since I looked closely at the specifications for printers. Thus I don't think I can provide any useful advice on this subject. Just seen the archers preview on DTRPG, which looks good! holy sh... em .... wonderfull!!!! especially the set to make a temple!!!!!!! i want to make something similar after the ships!!!!! 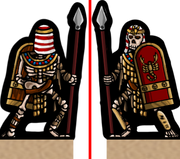 There are some other interesting free model Egyptian walls and building options via the links in this CWF topic from May 2013. Not all the images there show now, but the links do all still work. they set sail to the sea no one will stop them!!!!! they are coming!!! !